As I started preparing this week’s post, I noticed that I was not the only one who made the connection between Edward Snowden and Winston Smith, the protagonist of George Orwell’s “Nineteen Eighty-Four”. News editorials and political blogs are filled with Orwellian metaphors, and Amazon sales of the book apparently rose several thousand per cent in a single day after Snowden’s revelations were made public. One of the very best filmed versions of the book was made thirty years before the year in the title. 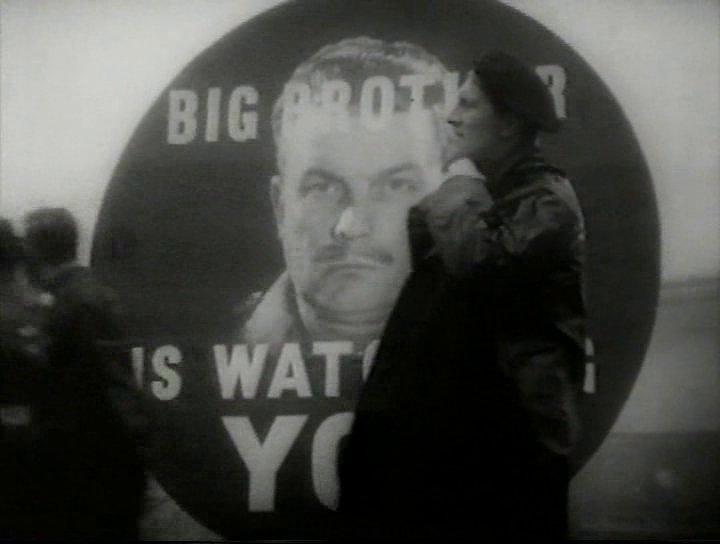 Nineteen Eighty-Four, like Quatermass and the Pit (which I wrote about last week), is a live science fiction drama produced by the BBC. The two productions even had the same writer and director, and some actors also appear in both. Winston Smith is played by none other than Peter Cushing. A brilliant Cushing, at that. 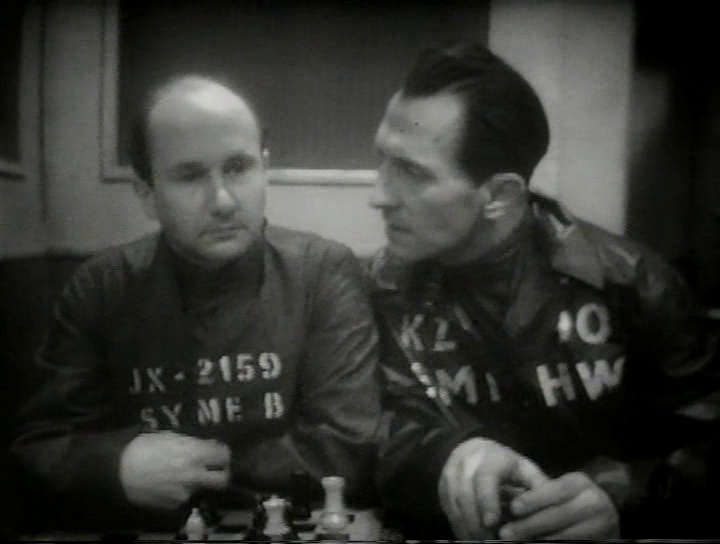 And if possible, Donald Pleasence as his “friend” Syme is even better. In fact, the whole production is brilliant. A few slip-ups (such as the shadow of an overhead microphone visible on screen) must be accepted in a live production such as this. The dictatorial government’s total control and repression reaches for you through the screen, and you can feel the anguish, then a vague hope, and then … But I should stop here, in case you are not previously familiar with the story. One year earlier, American CBS had made another live TV production of the same story. I have not seen that version, but it too is said to be very good, although shorter. Orwell fans may want to check it out. We have to acknowledge that the US is not Oceania, Edward Snowden is not Winston Smith, and Barack Obama is certainly not Big Brother. But that was never the point. 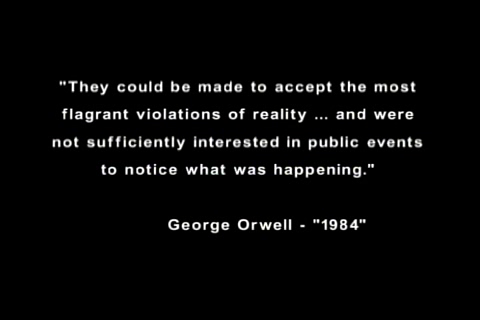 The point, I think, is that the book and the film Nineteen Eighty-Four still have something to offer. 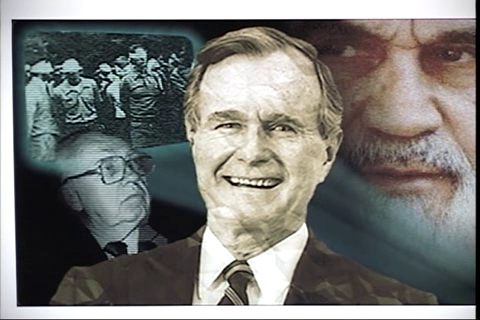 Real-world events can only serve to reinforce what was already there. This film is best enjoyed as an allegory and a warning that is just as relevant today, almost sixty years after the film, sixty-four years after the book.